KUALA LUMPUR—A Vietnamese woman accused of killing the half-brother of North Korea’s leader was captured on camera making an “aggressive” attack on him, two days after a similar act on another person, a police investigator told a Malaysian court on Tuesday. There was “a stark difference” in Huong’s movements in two closed circuit television recordings made in the airport’s third level departure hall, said police official Wan Azirul Nizam Che Wan Aziz. 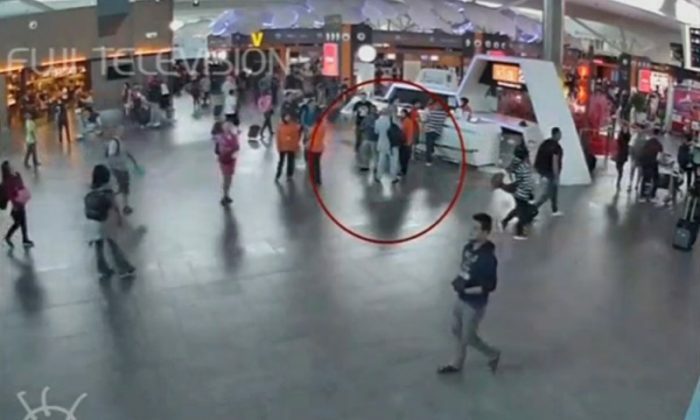 The first recording on Feb. 11 showed Huong approach an unidentified member of the public from behind to wipe something on the person’s face “in a soft manner”, he said. She then appeared to apologize, placing her hands together and bowing her head, before retreating slowly, added Wan Azirul, a member of the airport district’s Criminal Investigations Department. But a similar act carried out on Kim Jong Nam was “quite rough and seemed more like an attack,” Wan Azirul said. “For me, the act seemed aggressive. Other differences I saw were in her movements – compared to before, the accused Doan moved in a quick and rushed manner,” he said, using Huong’s first name. The women have pleaded not guilty, saying they thought they were involved in some sort of prank for a reality TV show. They face the death penalty if convicted. Chemical weapons expert Raja Subramaniam said degradation products of VX were found on Huong’s fingernails but not on the rest of her hands. Experts had earlier suggested the women had each been given a non-lethal substance that formed a deadly combination after being smeared on the victim’s face. Hisyam Teh, Huong’s lawyer, argued during cross-examination that she could not have known that she was handling VX. “No sane person, having been made aware that a liquid was VX, basically the deadliest of all nerve agents, would put out his hand for VX to get administered,” he added.